My kids cannot keep their hands off this exuberant celebration of glitter! When a little girl receives a delivery containing glitter on a rainy day, she experiments by adding it to various items around her house. 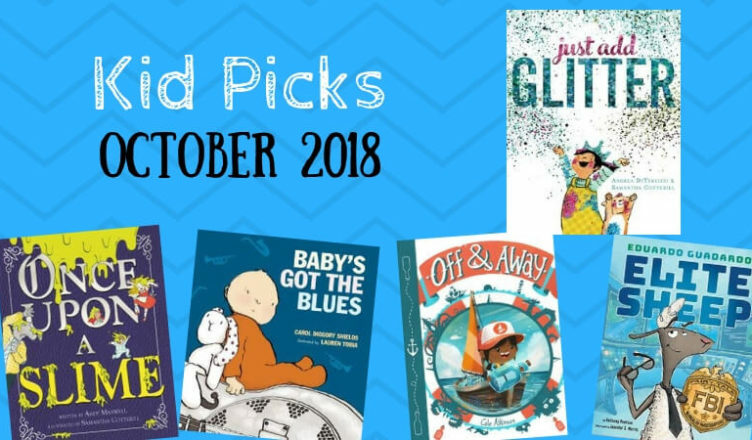 The flowing rhymes and colorful illustrations make this a natural read aloud, but the added bonus of being able to feel the glitter on the pages also makes this perfect for sharing one-on-one, so that little hands can explore the glittery fun. The story ends with a delivery of googly eyes, which is my favorite craft accessory. I’m keeping my fingers crossed for a sequel! On a side note, I think I may just be Samantha Cotterill’s number one fan. I am absolutely smitten with her incredible 3-D illustrations. They are so unique and creative and, best of all, they bring the stories to life in a wonderful new way. 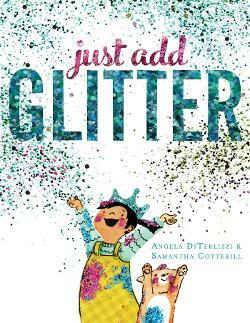 Despite your feelings on glitter, you will not be able to deny how much fun this book is! 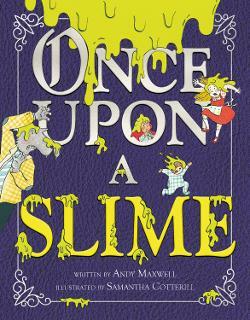 With the combination of fairytales and slime, there was no doubt in my mind that my kids were going to love this book. When famous characters including The Three Little Pigs, Goldilocks, Red Riding Hood, and Rapunzel are all slimed, they band together to find the culprit. My children and I were incorrect in our guess, but my observant son noticed signs of the villain during rereadings of the book. Samantha Cotterill’s comical pictures are as engaging as ever in this funny whodunit. Our family especially enjoyed studying the detailed map of the fairytale kingdom displayed on the endpapers. It is worth noting that I was not one hundred percent in love with the text and ended up changing a few words, but my kids absolutely loved this story and asked for multiple rereadings all month long. 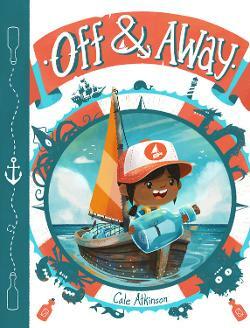 We can’t get enough of this fantastical maritime story about overcoming one’s fear. Jo’s dad runs a message in a bottle delivery service to all the denizens of the sea. Unfortunately, Jo is terrified of the creatures that lurk beneath the water, so she never joins in his adventures. When her dad becomes ill, however, Jo is forced to face her fears and discovers in the process that she has let her imagination run wild for too long. With its creative storyline and beautifully detailed illustrations, this is sure to become a new favorite read aloud. 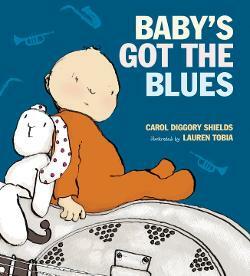 My three-year-old just loves this jazzy story that follows a baby singing about the woes of infancy. Turns out being a baby isn’t all its cracked up to be, but there are some benefits like unconditional love! With its humorous storyline and theme of teamwork, you are not going to miss this amusing fractured fairytale. Meet Eduardo Guardardo, who is currently training for the FBI (The Fairy-Tale Bureau of Investigations). 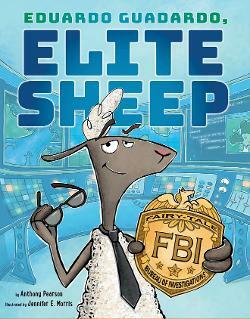 He is on his way to becoming one elite sheep, but before he reaches his lofty goals, he has to solve his first case where he goes undercover as Mary’s little lamb. While Eduardo is quite talented, he learns an important lesson that teamwork makes all of us stronger, faster, and smarter. My children could not get enough of this hilarious story. They loved seeing their favorite nursery rhyme and fairytale characters in new roles in this creative spin on classic tales.